Launching a website to promote or market your product or services? What about the web hosting plan? The need of a reliable web hosting plan can’t be underscored when it comes to developing a website. You need a web hosting solution that can provide the technical support your website needs. 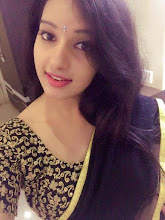 However, hosting solutions are no more just a service for hosting websites. Now users are expecting multiple solutions wrapped up in a single comprehensive plan. Over the years, web hosting evolved in a spectacular fashion, and you can’t ignore the key trends of web hosting unless you want your business to lag behind. With the digital market and user demands evolving at a tremendous speed, you need to keep an eye on web hosting updates to stay on the cutting edge. 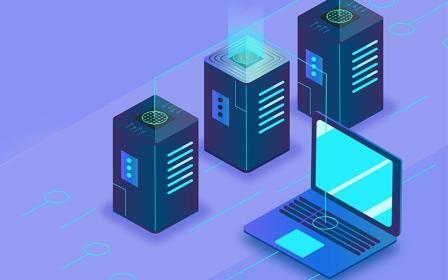 Check out some web hosting trends that will gain momentum in 2019. Did you know every time you use a website, it generates 20 milligrams of carbon dioxide? Now, with 3.5 billion internet users around the world, you can estimate how potentially damaging amount of carbon dioxide is being released by us. According to experts, if the energy consumption by web hosting providers goes on like this, the pollution thus caused would surpass the pollution caused by the airline industry by the year 2020. This is why a new hosting technology is introduced to reduce the carbon footprint. Green or eco-friendly hosting is an amazing way to add green credentials to your service. In this case, you will use energy efficient technologies and renewable energy devices for your site. Many leading companies have already joined this “green movement” to contribute to overall environmental safety. 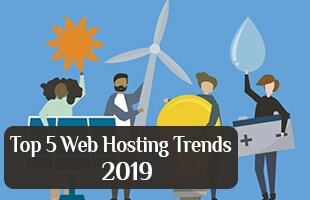 As a result, green hosting has become a trend of the year, and the adoption of the trend will continue in 2019. Due to its high security and uptime, cloud hosting solutions are prevailing over the web hosting market. The cloud server contains physical servers located in a secured room, and the virtual server that is hosting the websites obtains its resources from this network of physical servers. But still cloud technology is not that expensive, and this is why many online brands are switching to cloud. Businesses with a small budget can consider cloud service for having good value for money. Also, with the cloud, there is no possibility of slowing down or interrupting the function of your site. Andweb host if any outrage occurs, the system will prevent your site from going offline by automatically switching to another server. All of the benefits make cloud hosting an undisputed trend in web hosting in 2019. Now virtual counterparts are replacing machines, and if you have an internet connection, you can access the functionality you need from anywhere, at any point in time. Instead of a simple hosting plan, users are demanding inclusive web hosting packages with other services like search engine optimization, email hosting, and web design. Apart from advanced processors and enhanced operative memories, the advanced web hosting technologies now demand more powerful hardware. This is why many hosts are opting for Solid State Disks or SSD’s for faster server performance. In fact, today, many web hosts are now opening up about the detailed hardware specifications used on their servers to encourage the user to purchase their hosting plans. In the coming year, there will be a greater focus on personal security. Many instances of cybersecurity meltdowns and data violations in this year will force the hosting providers to work more on enforcing security. And this is likely to be a web hosting trend that will dominate 2019. If you want your data to get protected by the privacy regulations of your country, you should consider choosing a local web host. Also, keep your passwords unique and try to access it through password management systems. Apart from this, make sure your devices are routinely updated and free from bugs. Now, many hosting security protocols like encrypted data storage, standard SSL certification, and compliance checks for CMS vulnerabilities are becoming pervasive. This enables you to keep your website’s information safe while offering financial transactions and digital sales to your visitors. The high-performance, security, and anxiety about personal privacy are making web hosting a more demanding business. If you want to up your game, you need to increase your efficiency by aligning your business with the latest web hosting trend.